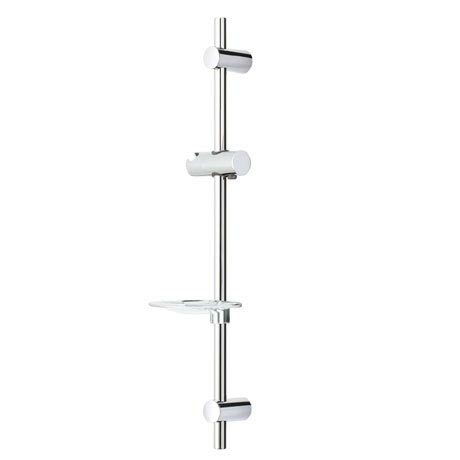 The Wave adjustable riser shower rail is for use with a shower handset and shower hose. Manufactured from quality materials and finished in chrome. Includes removable soap dish and fixings.